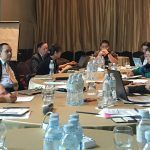 MARRAKECH, MOROCCO – As a region and a sector that are highly vulnerable to the impacts of climate change, the ASEAN agriculture has made a huge leap into making its presence known in international and formal negotiation processes on climate change. Through a stronger and unified representation, ASEAN through the Common Positions from Southeast Asian Nations, raised for the first time the profile of the agriculture sector in the region by engaging in the 22nd Meeting of the Conference of the Parties (COP22) to the United Nation Framework Convention on Climate Change (UNFCCC) in Marrakech Morocco on 7-18 November 2016. 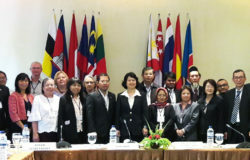 The ASEAN Common Position has been endorsed by the 38th Meeting of the ASEAN Ministers on Agriculture and Forestry (AMAF), and has appointed Thailand as the Lead Coordinator to spearhead all efforts for COP22 and its related meetings with support from the ASEAN Climate Resilience Network (ASEAN-CRN), which has helped shape the Common Position of ASEAN since its initial development. Prior to COP22, a series of preparatory workshops have been conducted in Ho Chi Minh City and Bangkok, respectively, with the aim of coordinating the endorsed Common Position among the ASEAN Member States (AMS), charting a plan for participation at the COP22, familiarizing with the protocols of UNFCCC engagement by consulting the UNFCCCC national focal points and the ASEAN Working Group on Climate Change focal points, and coordinating with the designated national UNFCCC focal points. 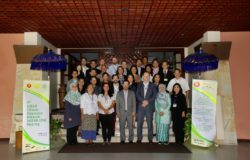 These have paved the way for the ASEAN Ministries of Environment and Agriculture to work together to address climate change impacts and drivers in agriculture and bring these to COP22. The preparatory events were supported by the ASEAN-CRN with support from the German Federal Ministry for Economic Cooperation and Development (BMZ) through the Deutsche Gesellschaft für Internationale Zusammenarbeit (GIZ) GmbH, and the Food and Agriculture Organization of the United Nations (FAO) Regional Asia Pacific Office, with technical inputs from the CGIAR Research Program on Climate Change (CCAFS). Since ASEAN as a region follows an observer status to the UNFCCC, the ASEAN Common Positions on Issues Related to Agriculture, as it was formerly called, found its entry point in the official meetings of COP22 through the group of G77 & China. As the Lead Coordinator, Thailand raised the ASEAN Common Position on 6 November 2016 at the G77 & China Daily Coordination Meeting, facilitated by Mr. Sherif Daowoud (Egypt) who is serving as the G77 & China Coordinator for SBSTA 45 Item 7 (Agriculture). However, due to limited time during the Subsidiary Body for Scientific and Technological Advice (SBSTA) 45 Meeting Item 7 on Agriculture, it was decided that issues related to agriculture brought forward at COP22 will subsequently be brought to SBTA 46 in Bonn Germany on May 2017 for further deliberation of the negotiating bodies. Apart from the formal deliberations, the ASEAN-CRN along with its partners – CCAFS and the Thailand Ministry Agriculture and Cooperatives – has likewise organized three side events focusing on the policies, processes, and partnerships that are involved in and evolved during the formulation of the ASEAN Common Positions on Agriculture to promote the ASEAN common position and priorities amongst negotiators and observers. 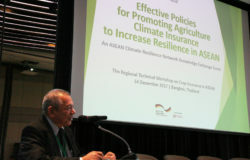 The sides events are as follows: Enhancing resilience of South East Asian agriculture to climate change; Collaborations on Agriculture Climate Insurance in South East Asia; and Common challenges, common solutions: Collective actions to enhance resilience of Southeast Asian agriculture. The events took place on November 9, 10, and 11 at the EU and Thai Pavilions, respectively. 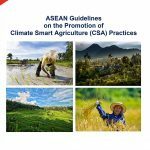 The ASEAN-CRN is a platform for regional exchange on climate smart agriculture (CSA). It is established to ensure that the AMS are in a better position to adapt their agricultural sector to climate change and optimize its mitigation potential. The network promotes climate resiliency through exchange of information, expertise, and experiences on CSA amongst the AMS. The ASEAN-CRN links policy makers to scientific institutions, universities, national research institutions in agriculture, and international organizations.